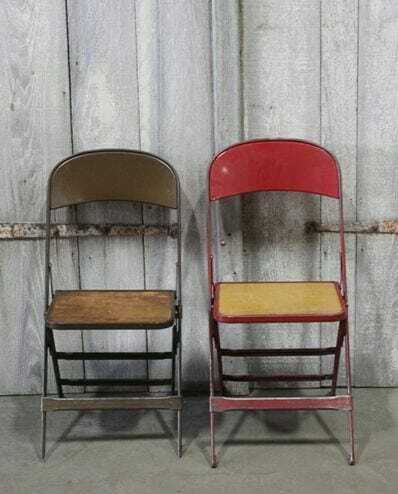 Vintage Clarin folding chair. Steel frame with wooden seat. Label reads “Clarin MFG. Co., Chicago, U.S.A.” Provenance salvaged these from a Philadelphia school. Clarins chairs are known for their durability and patented folding mechanism. Each one has a stenciled date on the bottom to identify the year it was made. Many of these date back to the late ’60s. 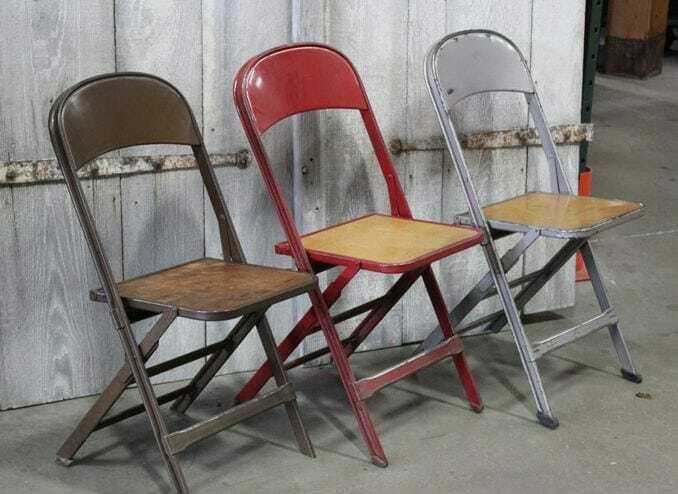 Available in brown, crimson, and grey.